But ads on the website, apart from being a means of earning, it is a way by which various bloggers provide valuable information and content to the visitors for free. 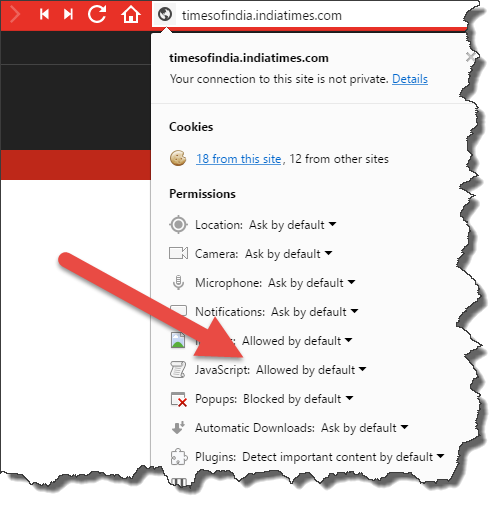 This is the reason why some web pages detect the extension and ask to disable anti-ad block. Anti-ad blockers have devised various ways to deal with the ad block detection. They directly ask their users to disable the ad bock or follow other ways to do so. Now the question here is how to bypass ad block detection? You can either bypass ad block detection manually i.e. by ad block warning removal or you can do that by using anti-ad block killer script. 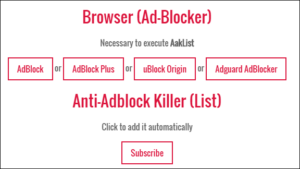 It helps in avoiding the detection of ad blocker and not only this but advanced anti-ad blockers can also be surpassed using the anti-ad block killer script. • Download the Tapermonkey extension from the Chrome Web store. • Secondly, install a script to block ad blockers. • To filter the list of specific ad blockers that you are using the browser, you have to subscribe. • The changes will be effective when you relaunch the browser. Anti-ad block killer Firefox is another way you can use to bypass ad block detection. It basically works as the anti-ad block blocker wherein it blocks the interruption caused due to anti-ad block use by the website owners and allows smooth browsing experience. It is a user script which removes the protection used by some websites that force the users to disable the Ad Blocker. Whenever you visit a website and it asks you to disable the ad block, it helps you to keep your Ad-Blocker active. However, it might not be a universal solution to all anti-ad block scripts, but it works in most of the cases. Therefore, bypass ad block detection chrome and anti-ad block killer chrome extension helps in experiencing interruption free browsing. The ad block blocker helps you get along with the sites that do not permit you to ban the ads. Get away with the old time-consuming website loading process by making the best use of the various ad block detection bypass.